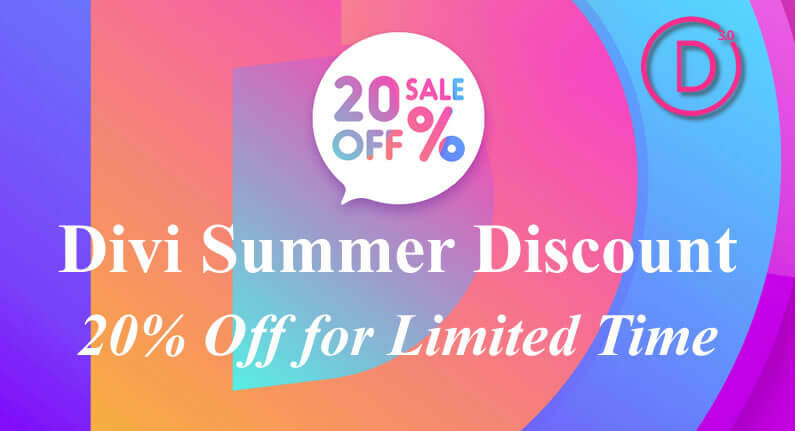 Divi Summer Discount - 20% off for limited time... don't miss out! Elegant Themes have just started what they hope will become a new annual tradition – the community themed Divi Summer Sale. It starts today (8th August 18) and they are offering a whopping 20% off of new accounts, account upgrades and account renewals. This is the biggest discount they have offered all year, and it will only be available for a few days so make sure that you don’t miss out. To get your 20% discount on a new Divi / Elegant Themes account, an account upgrade or an account renewal, just hit the big button below and then choose the option you want. Welcome to the Divi community and enjoy your 20% discount. Join Divi / Elegant Themes and get your 20% discount on new accounts, account upgrades and account renewals! 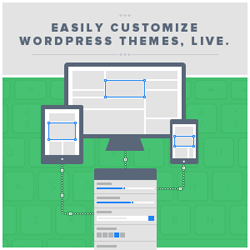 My thanks and gratitude to Elegant Themes for the graphic of the Divi Summer Discount, used in this post.